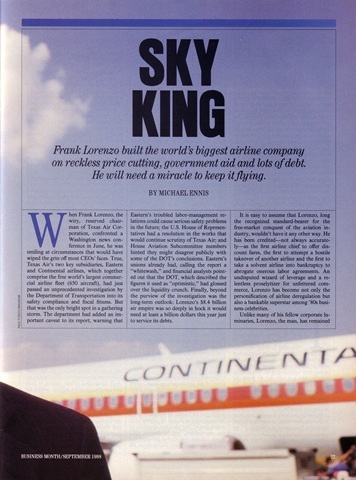 Frank Lorenzo built the world’s biggest airline company on reckless price cutting, government aid and lots of debt. He will need a miracle to keep it flying. 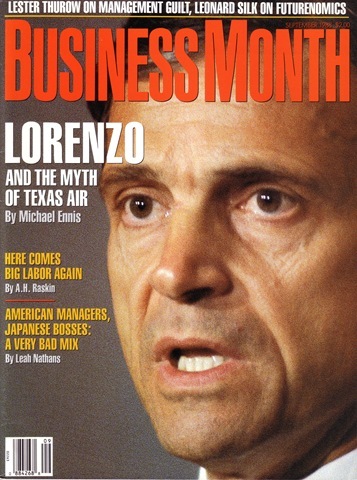 …The Lorenzo legend—like his debt—has been rolled over for so many years that the myth now conceals history. The businessman we see is a caricature in black and white, a hard-charging, freewheeling, ruthlessly efficient apostle of economic Darwinism, but beneath the accretion of clichés is a gray, tentative figure who has never flourished in straight-up deregulated competition and has been kept aloft by the very courts and government agencies whose control of the aviation industry he has so often disparaged…. The secret of premium beers is that they all taste pretty much the same. 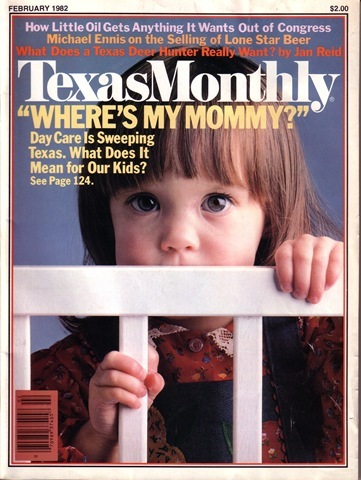 What makes people buy them is image—and Lone Star desperately needed a new one. …What Barry Sullivan had already accomplished was as neat and surgical a “segmenting” of the market as you could possibly hope for with beer drinkers. In mounting his radio campaign he had brought an entirely new image of Lone Star before the youth market, but at the same time he had done nothing to alienate the hard-core Lone Star drinkers of yore, those staunchly loyal redneck he-men who wouldn’t be caught dead in tank tops and straw hats. The reason these loyal drinkers hadn’t been turned off was that they had never bothered to turn on any of the radio stations that were now serving up progressive country music. 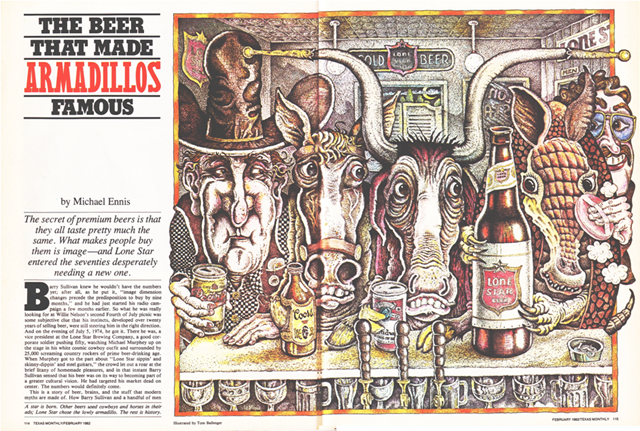 But television is the heavyweight medium in beer advertising, and by late 1974 Lone Star needed something to follow the Big Country. On television, there would be no way to have one campaign for the rednecks and another for the redneck rockers. On the barren wastes of America’s great cultural leveler, there was no place to hide….